As sweet as what's inside! Our polished & fresh-faced candy box holds a whopping 1lb. of goodies. 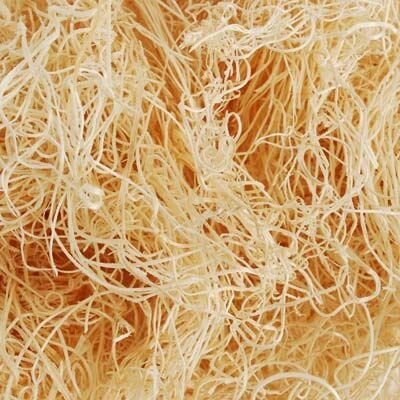 Strong & durable, this item delivers quality packaging, making it ideal for candy shops & bakeries. Case includes 100 boxes. Available in Gloss White with multiple, not to mention colorful, imprint options. Over 15 colors to choose from. Stamp with your company's signature touch or unique design. The possibilities are endless. It's one sweet deal! As sweet as what's inside! Our polished and fresh-faced candy box holds a half pound of your favorite goodies. Strong and durable, this item delivers quality packaging, making it ideal for candy shops and bakeries. Case includes 100 boxes. Available in Gloss White with multiple and colorful imprint options. Choose a color and stamp with your company's signature touch or unique design. The possibilities are endless. It's one sweet deal! Think inside the box! This 7" x 5" x 7/8" Chocolate Embossed box is constructed out of 50 pt board and made with 100% recycled materials. Designed with a classic sophistication that makes it suitable for just about any jewelry store or boutique. Available in a variety of sizes to help you find the best fit for your business. Transform these boxes into eye-catching statements by customizing them with your company name and logo! 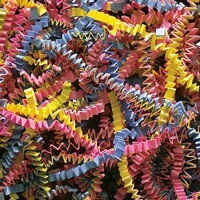 Each box is filled with non-tarnishing jeweler's fibers. Think inside the box! 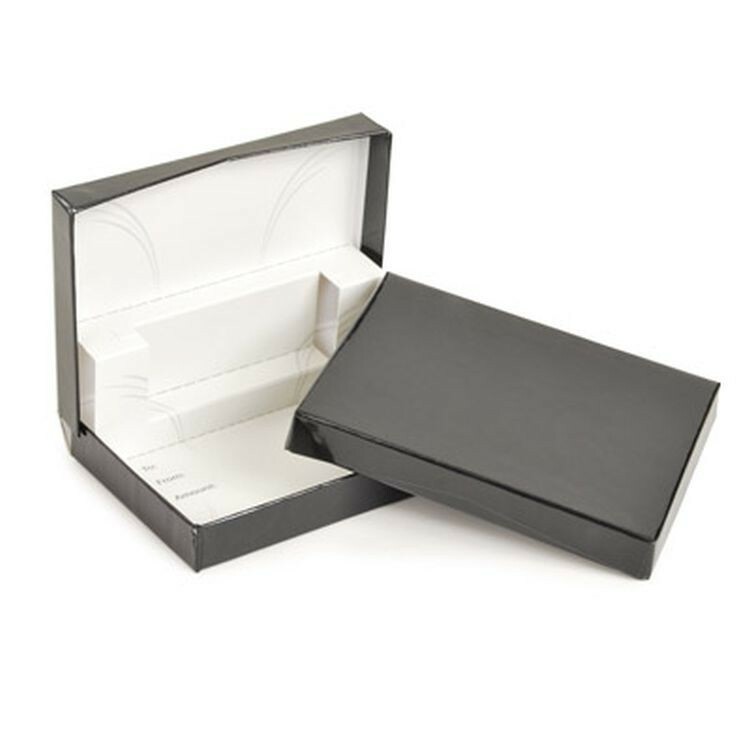 This Gloss box measures 6" x 6" x 4" and is constructed out of 20 pt 100% recycled paperboard. These boxes are designed as one piece with a lift-up lid, making them suitable for just about any retail setting. Available in a wide variety of sizes to help you find the perfect fit for your business. Transform these boxes into eye-catching statements by customizing them with your company name and logo! Think inside the box! 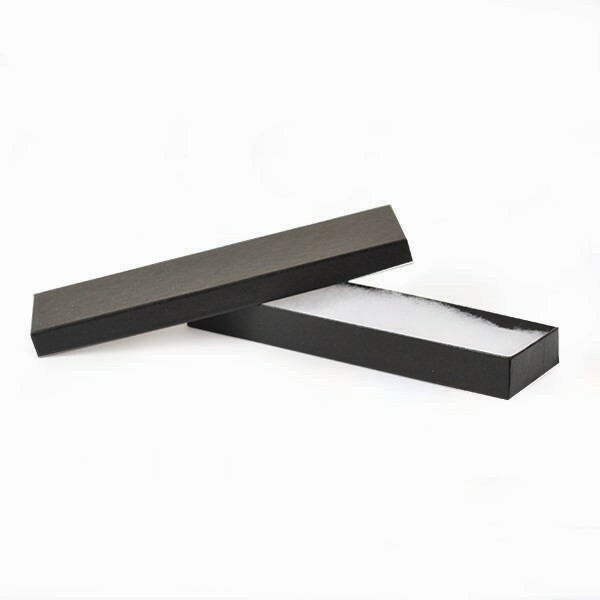 This Gloss box measures 12" x 6" x 6" and is constructed out of 20 pt 100% recycled paperboard. These boxes are designed as one piece with a lift-up lid, making them suitable for just about any retail setting. Available in a wide variety of sizes to help you find the perfect fit for your business. 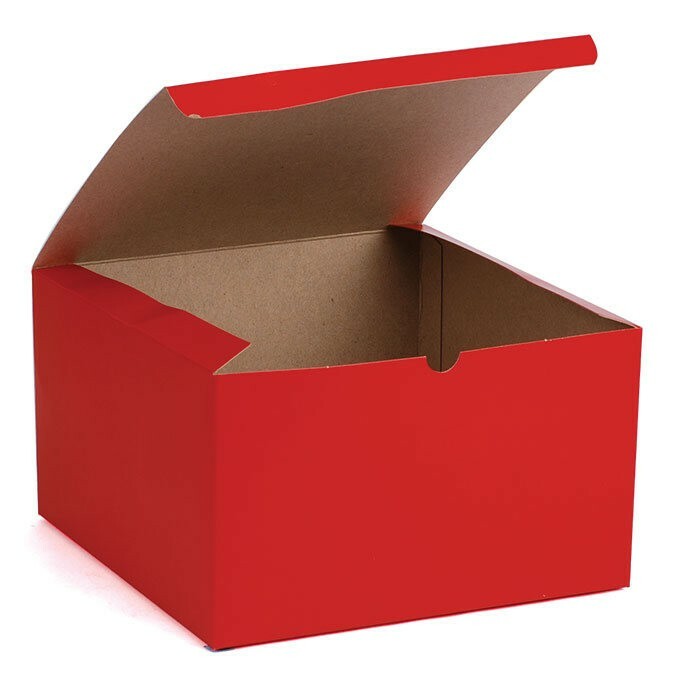 Transform these boxes into eye-catching statements by customizing them with your company name and logo! Think inside the box! 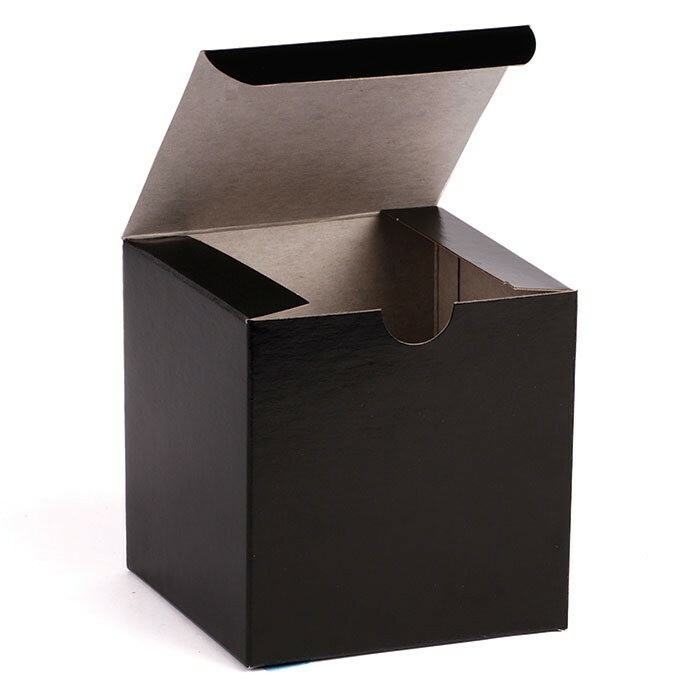 This Gloss box measures 6" x 6" x 6" and is constructed out of 20 pt 100% recycled paperboard. These boxes are designed as one piece with a lift-up lid, making them suitable for just about any retail setting. Available in a wide variety of sizes to help you find the perfect fit for your business. Transform these boxes into eye-catching statements by customizing them with your company name and logo! Think inside the box! 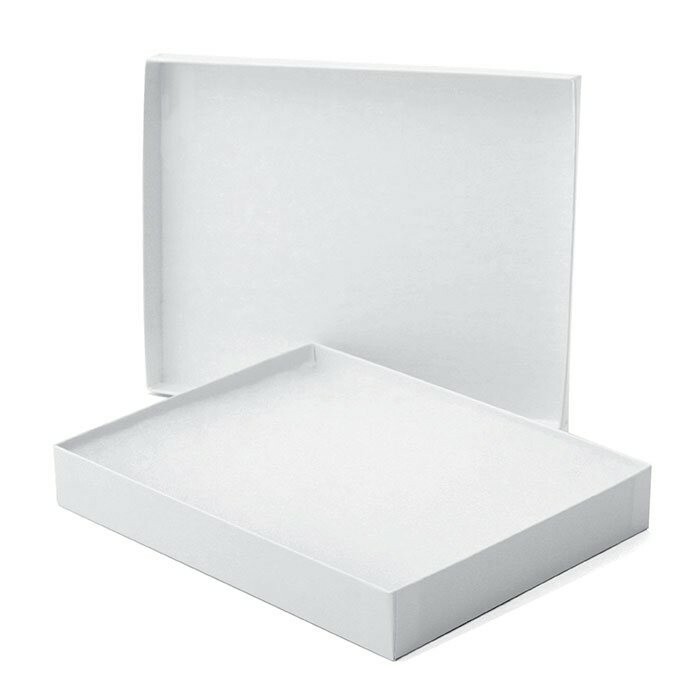 This 6" x 5" x 1" box comes in 50 pt white Krome and is perfect for housing jewelry and other treasures. Designed with a classic sophistication that makes it suitable for just about any jewelry store or boutique. Available in a wide variety of sizes to help you find the best fit for your business. Transform these boxes into eye-catching statements by customizing them with your company name and logo! Think inside the box! 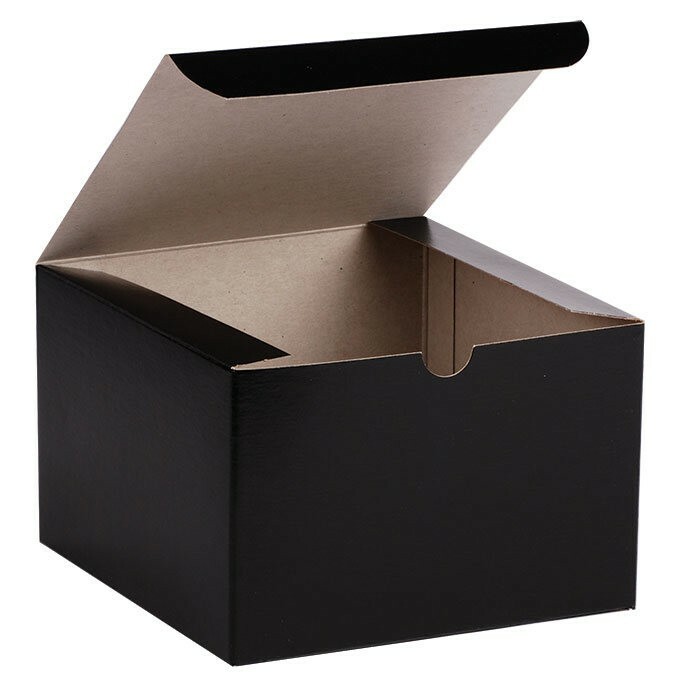 This 20 pt 24" x 14" x 4" apparel box features matte tint and a natural Kraft interior. Designed with a two-piece construction for easy storage and shipping economy. Available in a variety of colors to suit your individual needs. 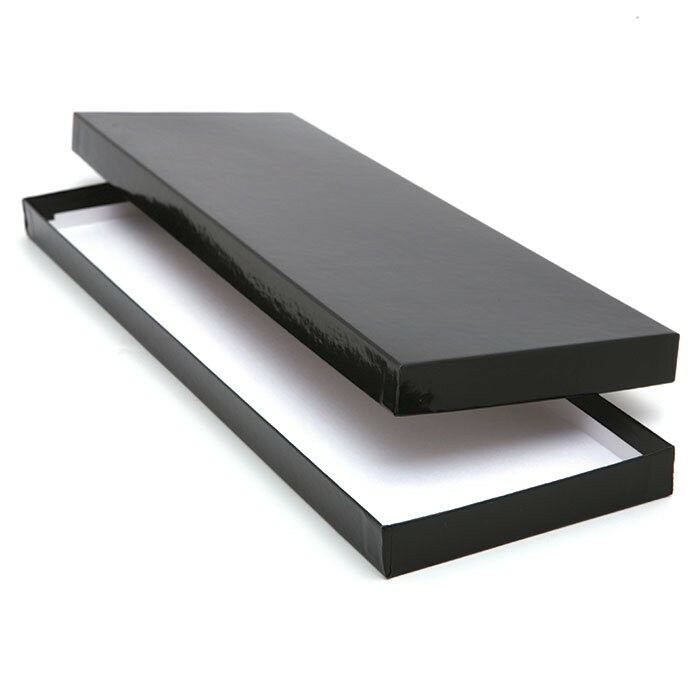 The simple sophistication of these boxes makes them suitable for just about any boutique or department store. May be customized with your company name and logo for an eye-catching presentation! Think inside the box! 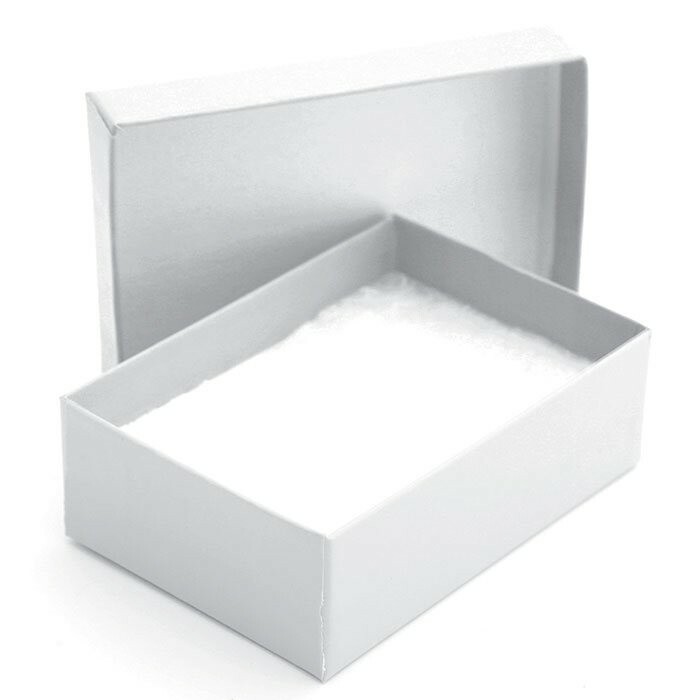 This Gloss box measures 8" x 8" x 3.5" and is constructed out of 20 pt 100% recycled paperboard. 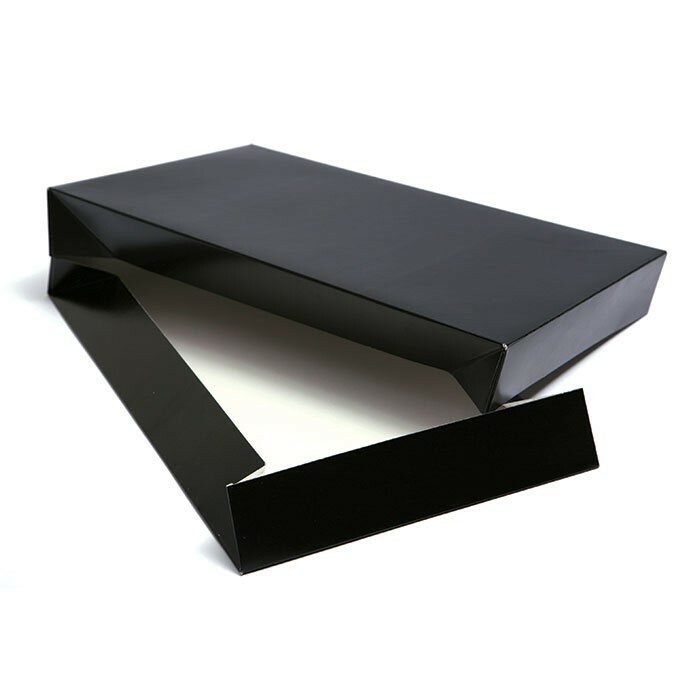 These boxes are designed as one piece with a lift-up lid, making them suitable for just about any retail setting. Available in a wide variety of sizes to help you find the perfect fit for your business. Transform these boxes into eye-catching statements by customizing them with your company name and logo! Think inside the box! 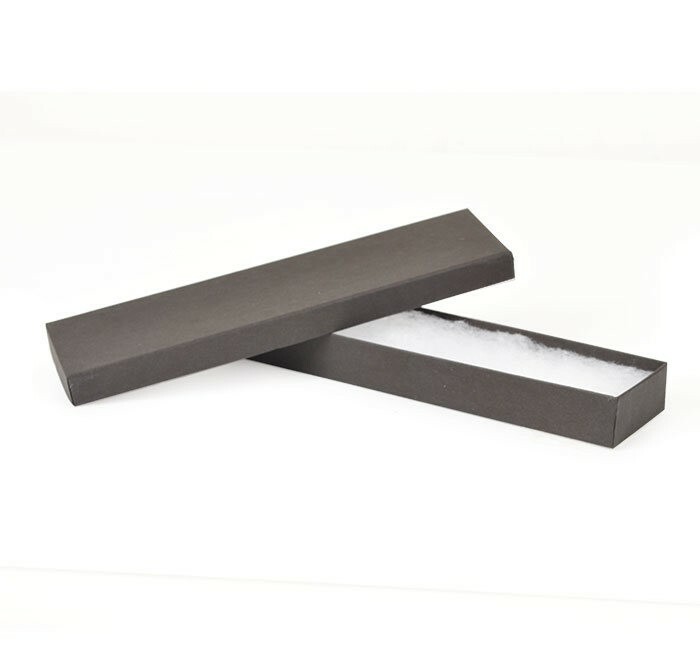 This Gloss box measures 4" x 4" x 2" and is constructed out of 20 pt 100% recycled paperboard. These boxes are designed as one piece with a lift-up lid, making them suitable for just about any retail setting. Available in a wide variety of sizes to help you find the perfect fit for your business. Transform these boxes into eye-catching statements by customizing them with your company name and logo! Think inside the box! 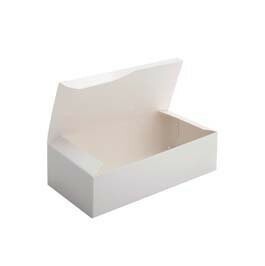 This Gloss box measures 10" x 10" x 6" and is constructed out of 20 pt 100% recycled paperboard. 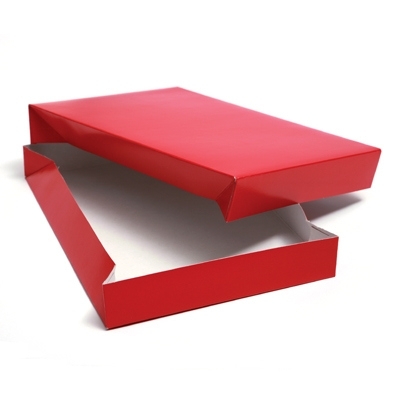 These boxes are designed as one piece with a lift-up lid, making them suitable for just about any retail setting. Available in a wide variety of sizes to help you find the perfect fit for your business. Transform these boxes into eye-catching statements by customizing them with your company name and logo! Think inside the box! This 20 pt 19" x 12" x 3" apparel box features matte tint and a natural Kraft interior. Designed with a two-piece construction for easy storage and shipping economy. Available in a variety of colors to suit your individual needs. 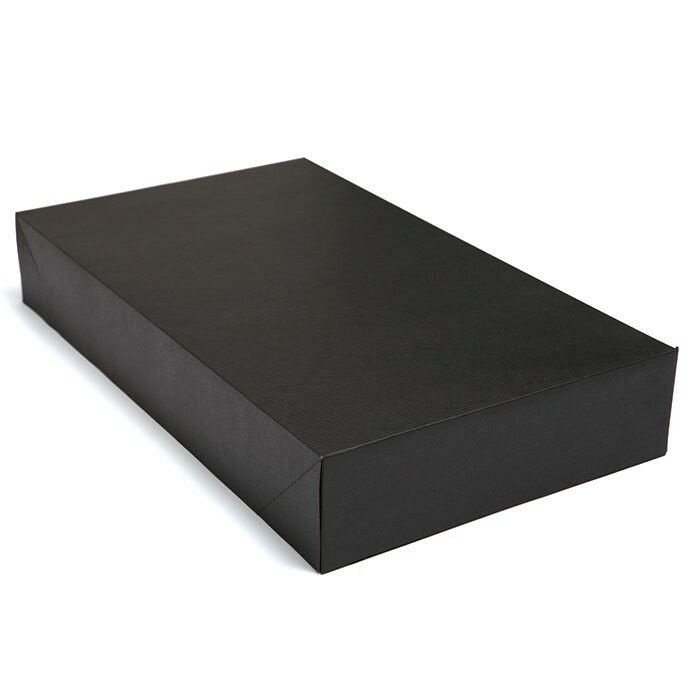 The simple sophistication of these boxes makes them suitable for just about any boutique or department store. May be customized with your company name and logo for an eye-catching presentation! Think inside the box! 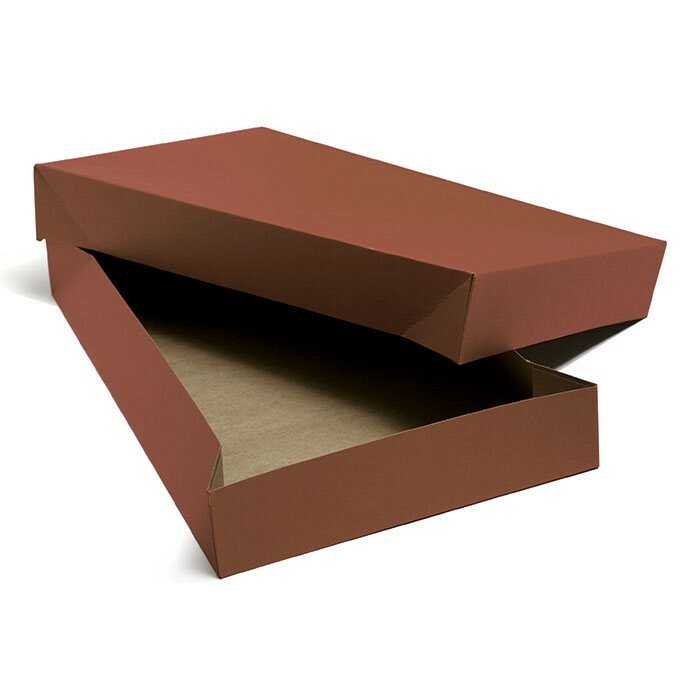 This 8" x 2" x 7/8" kraft color box is constructed out of 50 pt FSC/SFI Kraft paper and comes in assorted colors. Designed with a classic sophistication that makes it suitable for just about any jewelry store or boutique. Available in a variety of sizes to help you find the best fit for your business. Transform these boxes into eye-catching statements by customizing them with your company name and logo! Each box is filled with non-tarnishing jeweler's fibers. Fluffy, fashionable and friendly (to the environment that is). 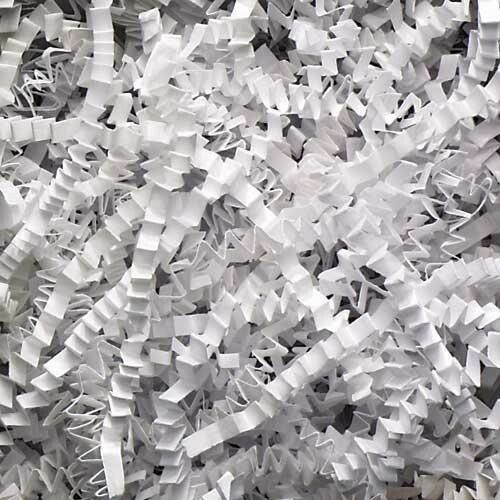 Our spring-fill crinkle Kraft shred is made from 100% recycled paper, and is designed in a neutral color that provides versatility and a clean, fresh look. Fill any gift basket or package with style and flair by adding cushion and stability to package contents. See catalogue for color samples and pricing details. Fluff, stuff and enjoy! One 10 lb. box. No imprinting options available. Fluffy, fashionable and friendly (to the environment that is). 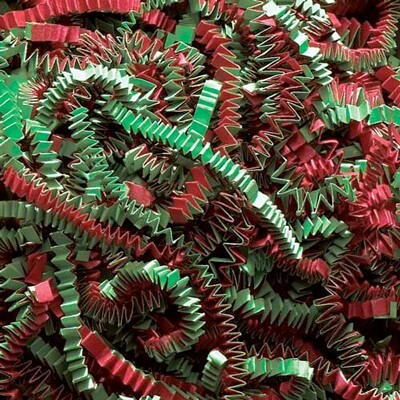 Our spring-fill crinkle Mylar mix shred is made from 100% recycled paper, and is available in a variety of festive and sparkling colors. Fill any gift basket or package with style and flair by adding cushion and stability to package contents. See catalogue for color samples and pricing details. Fluff, stuff and enjoy! One 10 lb. box. No imprinting options available. Think inside the box! This 8" x 2" x 7/8" box is constructed out of embossed pattern 50 pt FSC/SFI 30% Recycled paper and comes in Black. Designed with a classic sophistication that makes it suitable for just about any jewelry store or boutique. Available in a wide variety of sizes to help you find the best fit for your business. Transform these boxes into eye-catching statements by customizing them with your company name and logo! Each box is filled with non-tarnishing jeweler's fibers. Think inside the box! 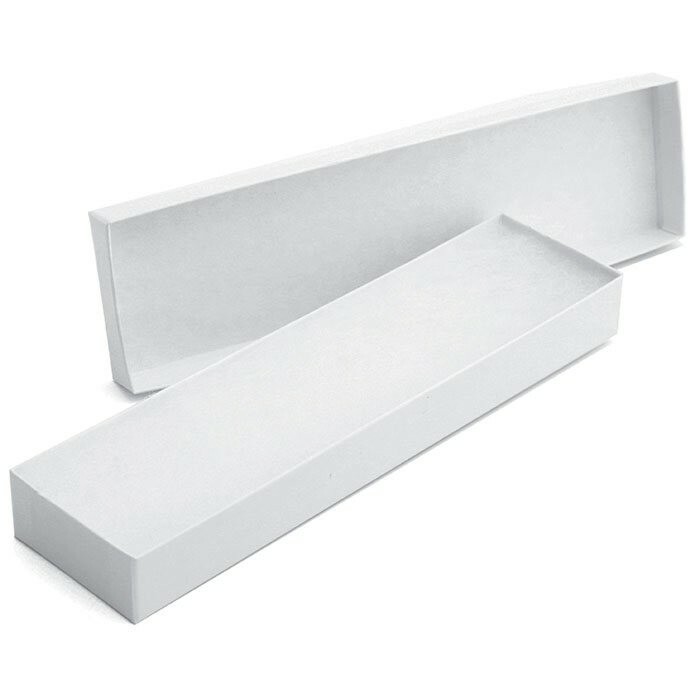 This 8" x 2" x 0.875" box comes in 50 pt white Krome and is perfect for housing jewelry and other treasures. Designed with a classic sophistication that makes it suitable for just about any jewelry store or boutique. Available in a wide variety of sizes to help you find the best fit for your business. Transform these boxes into eye-catching statements by customizing them with your company name and logo! Think inside the box! This 6" x 5" x 1" box comes in 50 pt natural Kraft and is perfect for housing jewelry and other treasures. Designed with a classic sophistication that makes it suitable for just about any jewelry store or boutique. Available in a wide variety of sizes to help you find the best fit for your business. Transform these boxes into eye-catching statements by customizing them with your company name and logo! Think inside the box! 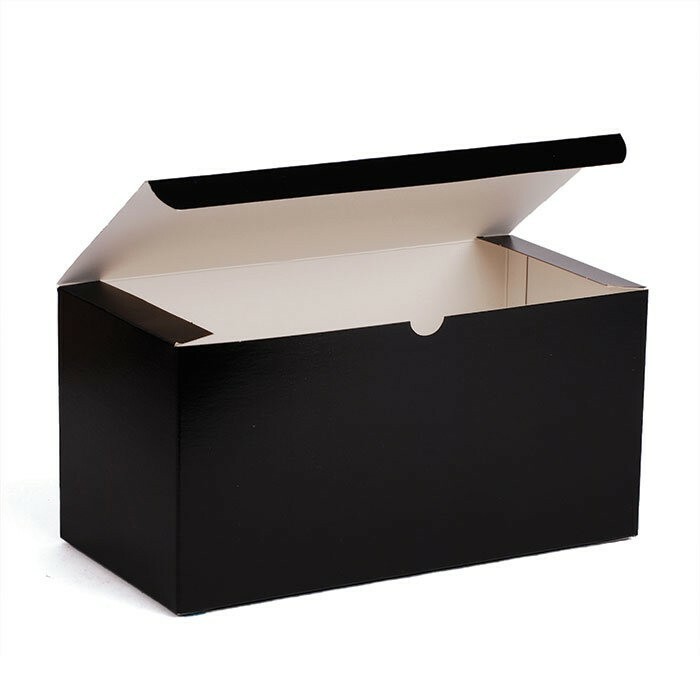 This 19" x 12" x 3" apparel box has an exterior with a high gloss finish that pops. Designed with a two-piece construction for easy storage and shipping economy. Available in a variety of colors to suit your individual needs. 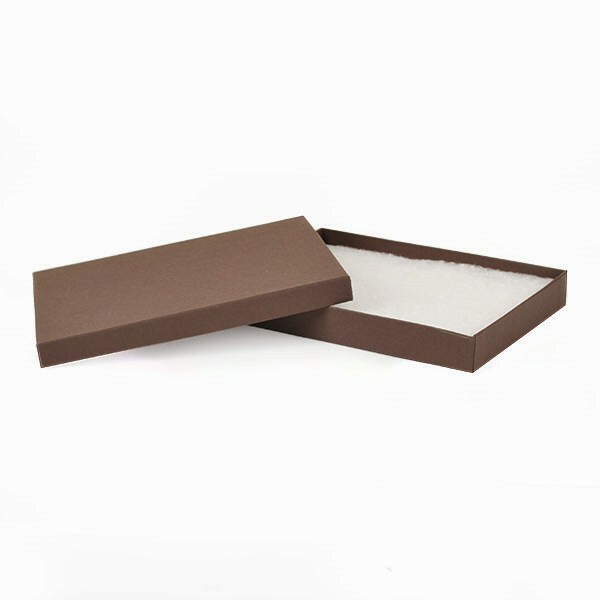 The simple sophistication of these boxes makes them suitable for just about any boutique or department store. May be customized with your company name and logo for an eye-catching presentation! Think inside the box! 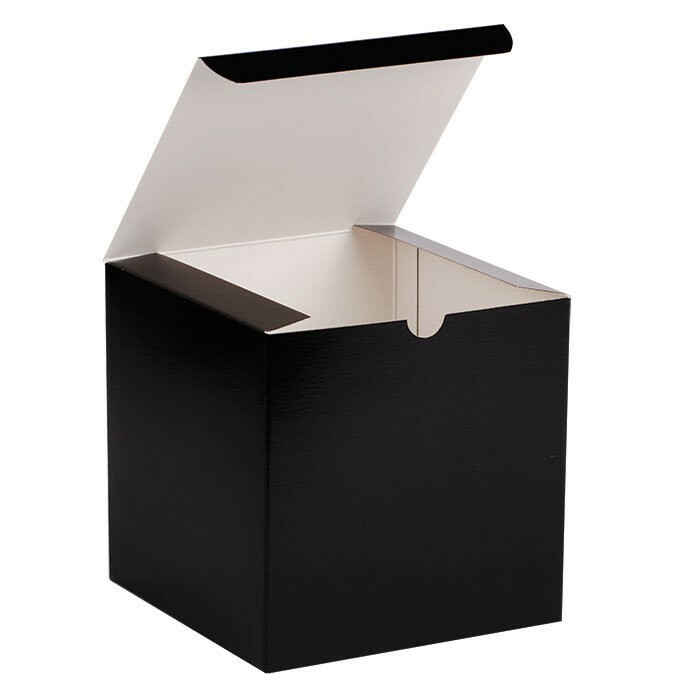 This 20 pt 24" x 14" x 4" apparel box has an exterior with a high gloss finish that pops. Designed with a two-piece construction for easy storage and shipping economy. Available in a variety of colors to suit your individual needs. 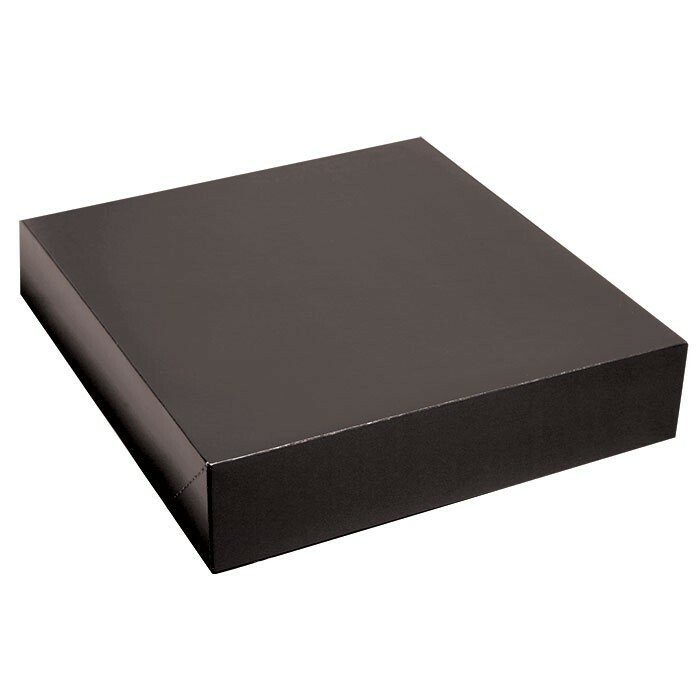 The simple sophistication of these boxes makes them suitable for just about any boutique or department store. May be customized with your company name and logo for an eye-catching presentation! Think inside the box! 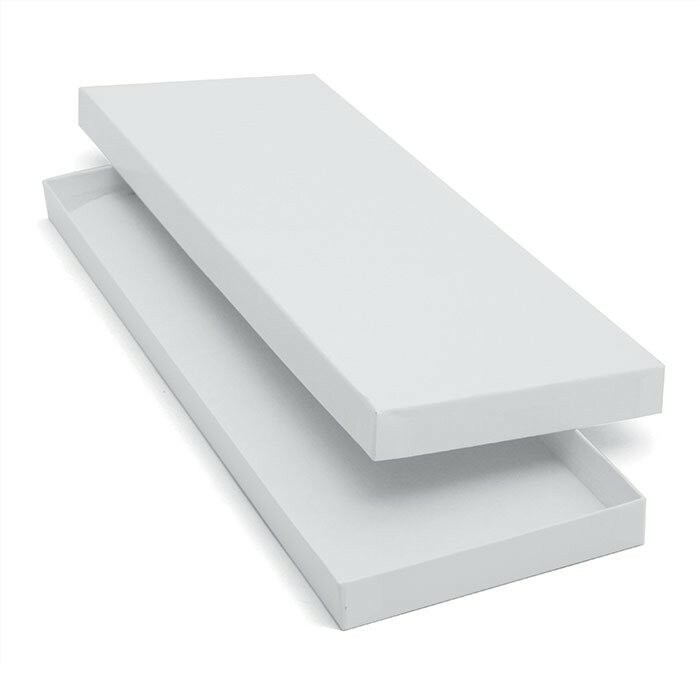 This 3.062" x 2.125" x 1" box comes in 50 pt white Krome and is perfect for housing jewelry and other treasures. Designed with a classic sophistication that makes it suitable for just about any jewelry store or boutique. Available in a wide variety of sizes to help you find the best fit for your business. Transform these boxes into eye-catching statements by customizing them with your company name and logo! Think inside the box! 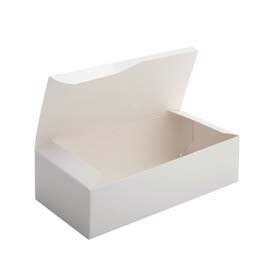 This Gloss box measures 12" x 12" x 2.5" and is constructed out of 20 pt 100% recycled paperboard. 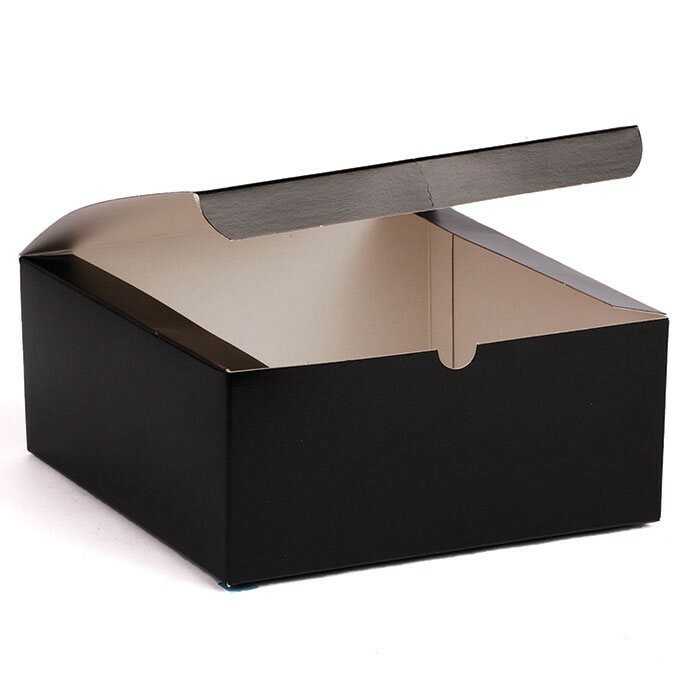 These boxes are designed as one piece with a lift-up lid, making them suitable for just about any retail setting. Available in a wide variety of sizes to help you find the perfect fit for your business. Transform these boxes into eye-catching statements by customizing them with your company name and logo! The right gift always comes in the right box! Show off any gift card in style with our 4.625" x 3.375" x .625" gift card box. 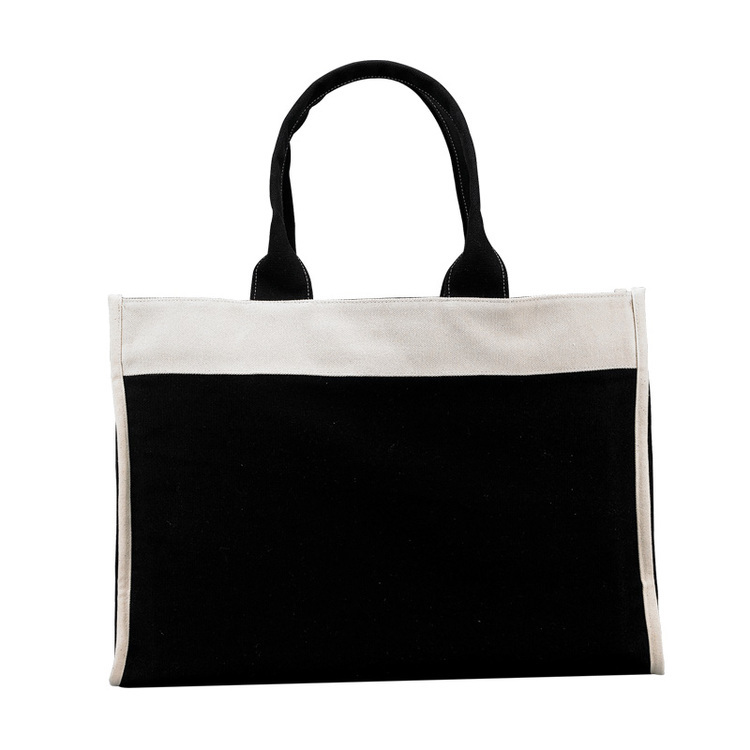 Perfect for restaurants, retail stores, personal gift-giving and much more! 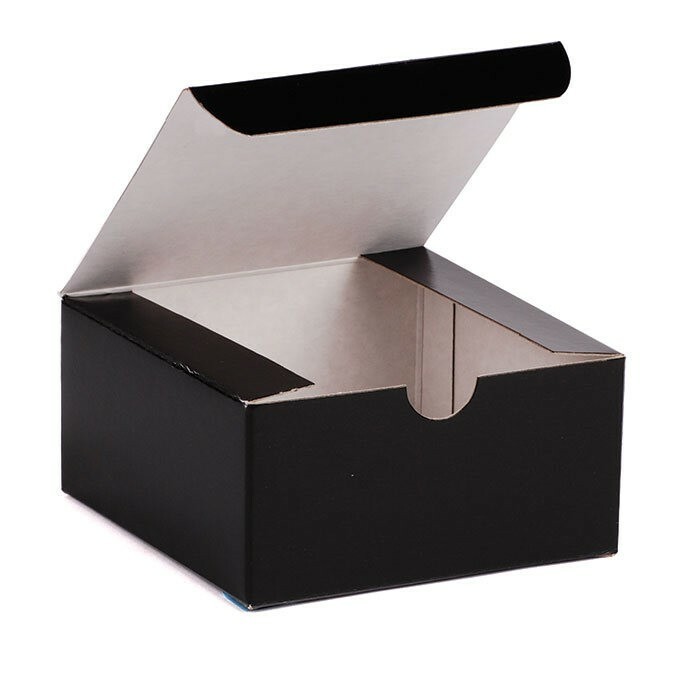 Pop Up Gift Card Boxes are available in solid colors and several pattern prints. They include a pop up insert containing: to, from and amount - then it is ready for gifting. Complete the package with a bow or ribbon. Think inside the box! 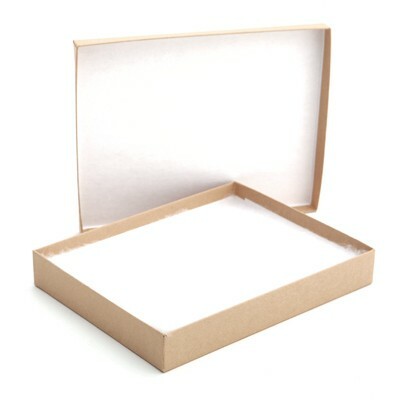 This Gloss box measures 4" x 4" x 4"" and is constructed out of 20 pt 100% recycled paperboard. 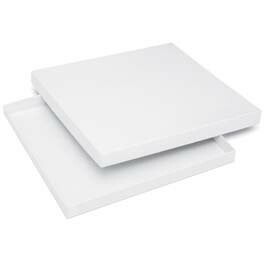 These boxes are designed as one piece with a lift-up lid, making them suitable for just about any retail setting. Available in a wide variety of sizes to help you find the perfect fit for your business. Transform these boxes into eye-catching statements by customizing them with your company name and logo!